but it can be used as a client to any remote or local INDIGO or INDI server with any supported cameras, filter wheel or focuser as well. AstroImager also controls the set point cooling and the mechanical shutter of the attached camera (if available). It can preview or capture and save images with any count, duration and time lapse, browse captured images, zoom and stretch them automatically or manually, measure FWHM, HFD and the drift of a selected star and plate-solve image using public or local astrometry.net service. 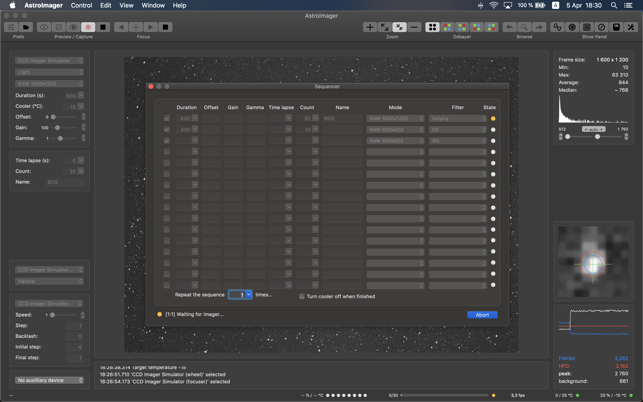 AstroImager has simple sequencer to capture sequences of images with configurable duration, time lapse, count, base file name, binning and filter. Images are stored in FITS format with user defined keywords and can be debayered during preview. Sequences of images can be saved in various video formats including SER as well. 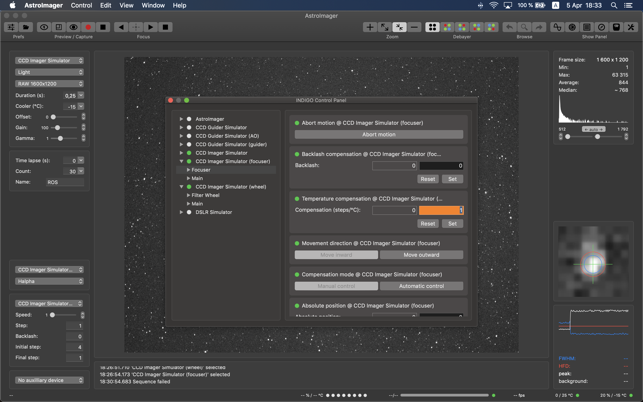 AstroImager is a member of our astrophotography tools family including AstroDSLR, AstroTelescope, AstroGuider, FITS Preview, INDIGO Server for OS X, INDIGO Control Panel, INDIGO Dashboard and Astrometry for OS X. 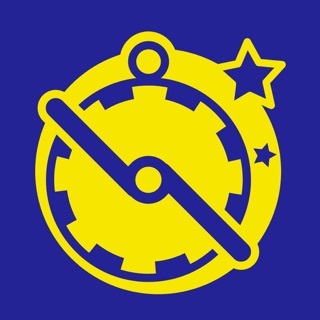 - INDIGO framework updated to 2.0.85. - New embedded control panel included. - Horizon support added to Atik driver. - ZWO ASI focuser driver added. 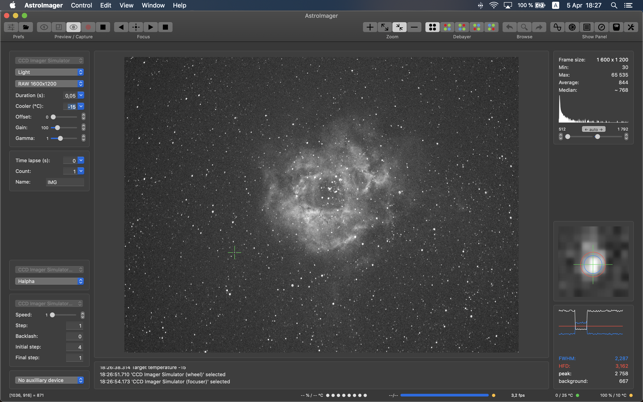 Awesome App for MacOS Astrophotography! I have been very impressed by this software and the developer support. I purchased a new ZWO ASI071 MC Pro in December and Nebulosity did not (and still doesn't, but they are working on it) support it. This led me to Astroimager. I had two problems initially. One, apple hadn’t cleared 3.0 at the App Store but the developer quickly guided me to the download at their website. Two, I fooled around with settings that I didn't understand (client/server stuff) and messed things up a bit. The developer again quickly and clearly told me how to fix it. Thanks a million Cloudmakers for clearing my skys and making a #@%&ing awsome app! PS-Now the App Store version is 3.0. It Just Works . . . Great!! 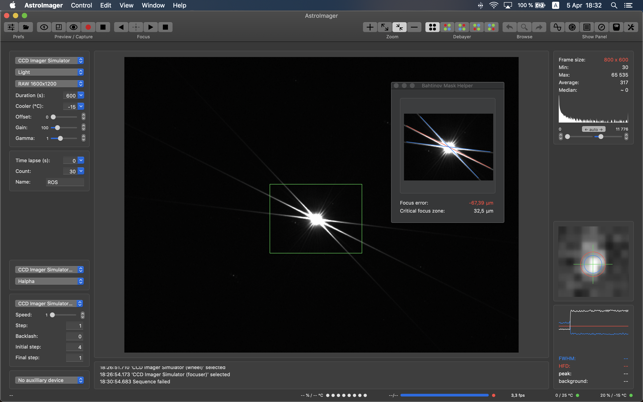 I’ve been involved with astroimaging for 15+ years and have worked with several image capture programs, Astroimager is one of my favorites. 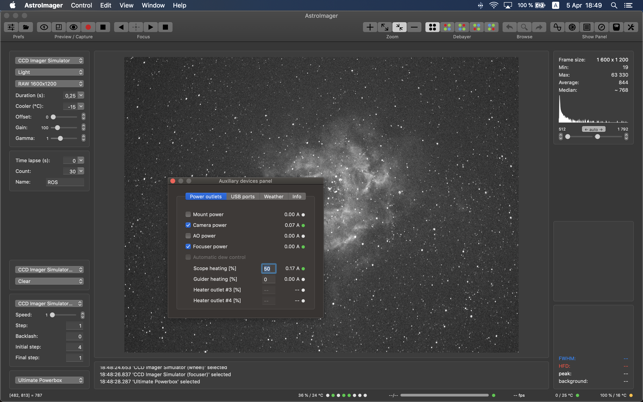 There are not a lot of options out there for image capture with a Mac, Astroimager fits that niche. I love the clean interface and features that it offers. Access to the INDIGO drivers is also a very nice. My camera of choice is the Atik 460ex . 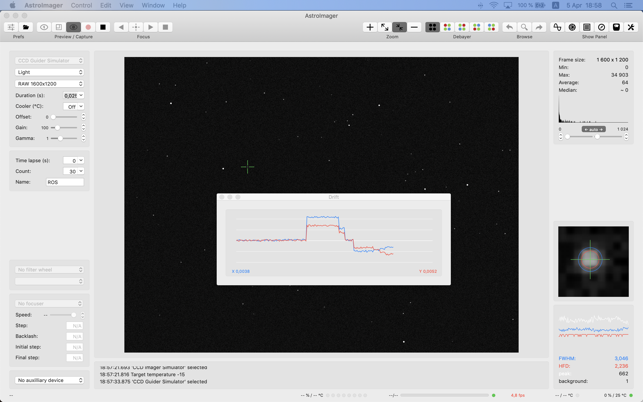 . . Astroimager with my Mac works great! This is an awesome app that is continually being updated. Plus, you’ll never beat the price! Great job Cloudmakers!! The exposure times are input using a quirky combo box that also allows you, sometimes, to type in a value. The defaults are weird choices, and don’t go low enough. RAW mode simply locks up this program. It only captures FITS format images, which are next to useless outside of NASA or ESA. It might be adequate for dark-sky images, but I simply couldn’t get it to work well enough to even focus my telescope when using it to capture solar images. It *looks* like it ought to be a good program, easy to use, etc, but it hasn’t been my experience on it, or any other Mac-based astro-imaging software. This was a waste of my $15…can I get a refund? Jeff, the choice of exposure times in combo corresponds to the primary use of AstroImager what is DSO imaging, but you can enter any value you want. If there is some problem, please contact us by e-mail. FITS format is the most common format for astrophotography accepted by any post-processing software, I really can agree that it is useless. With upcoming version 3.0 (you can download it from our web already) you can also use SER video format, what is the most common format for lunar/solar/planetary imaging. You can certainly Apple ask for refund, if you don't like our software. © 2014-2019 CloudMakers, s. r. o.